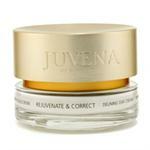 Juvena is a Swiss skincare company that has been providing high quality formulas to customers for more than 50 years. The Juvena team of scientists works closely with dermatologists to come up with ingredient combinations that effectively address a host of specific skin care needs. 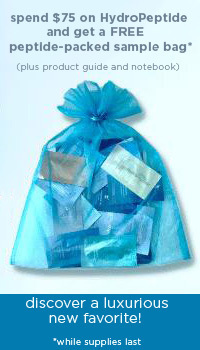 The company also provides general skincare products that cleanse, moisturize and treat all skin types. DrSkinSpa.com is an Authorized Retailer of Juvena. All Products are Guaranteed Authentic & Fresh. Check out the latest innovations in Juvena skincare to help you determine if these products are right for you. Juvena was one of the first skincare companies to pioneer skin cell regeneration for a more youthful complexion. This company was also the first to use vitamins in their skincare formulas. Vitamins rich in antioxidants have been shown to be effective in combating the effects of free radicals in our environment. Juvena was one of the first skincare companies to pioneer skin cell regeneration for a more youthful complexion. This company was also the first to use vitamins in their skincare formulas. Vitamins rich in antioxidants have been shown to be effective in combating the effects of free radicals in our environment. Free radicals, found in cigarette smoke, environmental pollution and the sun's rays, accelerate the effects of aging on the skin. By protect the body from these harmful agents, one can ward off the signs of aging, like sagging skin and wrinkles. Juvena has conducted elaborate studies on skin cell regeneration and found that skin cells handle the regeneration process quite efficiently on their own during the younger years of life. However, as the body ages, cell regeneration and elastin production slow down, resulting in skin that loses firmness and begins to sag. The appearance of fine lines and wrinkles are also symptoms of this process. Ingredients in the Juvena line provide a boost to skin cell regeneration, which refines and renews the skin for a healthier, younger appearance. This technology, known as SkinNova SC Technology, supports the skin's own stem cells, which are the source of fresh, new skin. SkinNova SC Technology ensures that women can improve the appearance, texture and elasticity of the skin at every phase of life, by promoting the natural skin rejuvenation process. Juvena products also include a delining complex, which is designed to combat the appearance of wrinkles through a combination of peptides, arginine and hyaspheres. Peptides are commonly used in anti-aging products like the Juvena line because of their ability to stimulate collagen production. Collagen is a natural substance produced by the body that keeps skin soft and supple. As we age, collagen production decreases, leaving sagging skin and the appearance of fine lines and wrinkles in its wake. Juvena boosts collagen production through the addition of peptides to their anti-aging formulas. Peptides effectively plump the skin from the inside out, resulting in a more youthful glow to the complexion. Arginine is another ingredient used in anti-aging products like Juvena due to its ability to stimulate wound healing and reduce the appearance of wrinkles. 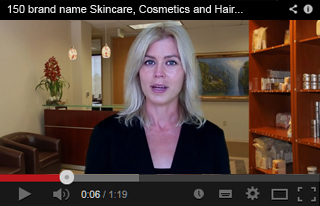 When skin cell regeneration is maximized during the healing process, fine lines also diminish. Hyaspheres are also used in top quality skincare lines like Juvena, because these sponge-like molecules fill in fine lines and wrinkles so skin looks smoother from the inside out. Juvena brings both experience and ground breaking science to the table, providing women with some of the most effective skincare formulas available. 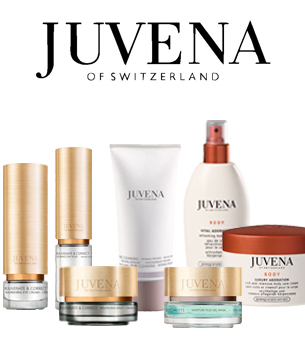 If you are looking for a way to enjoy younger, more beautiful skin, the Juvena product line is one to consider.